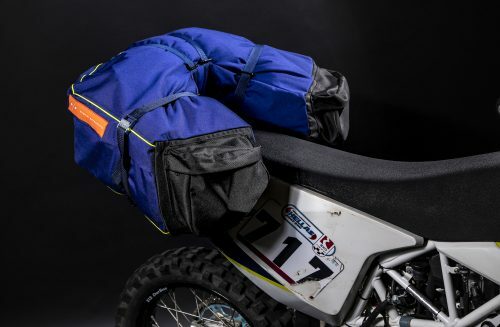 The R/G roll bag was custom designed for the Husqvarna 701 to ensure the best possible fit. 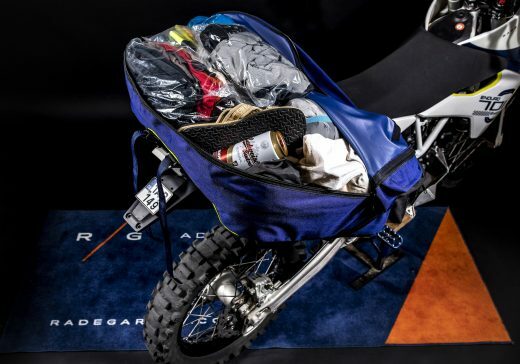 It keeps the 701 narrow and the weight towards the center of the bike while it gives the rider full freedom to move his body to handle any terrain, even the the toughest conditions. Also refueling stays as easy as it was, because you don’t have move the roll bag. The bag will hold all your stuff for a weekend or few weeks on the road, without the frustration of you spending time by searching stuff in your luggage. R/G roll has long zip from corner to corner and with combination of transparent bags you can quickly find and access what you need. Small things like camera, googles, gloves that you need frequently can be stored in the two front pockets and easily accessed when sitting on the bike. The roll bag comes in the set with our custom designed support rack that keeps the bag in its place what ever the terrain is. When you stop, the rack has a hook to hang your helmet. The straps are well aligned with the rack so placing the roll on/off is very easy. Minimal stitching increases water resistance, we recommend using additional clear bags for easy access and full water protection. And the reflexive lines makes you more visible at night. 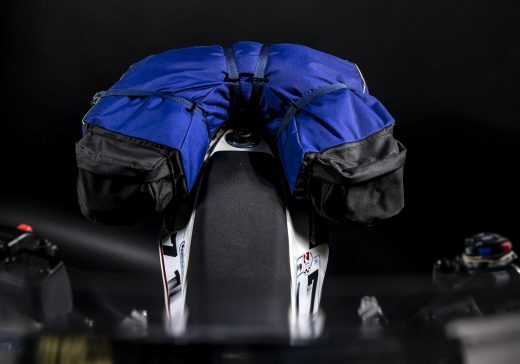 How does Husqvarna 701 roll bag works? 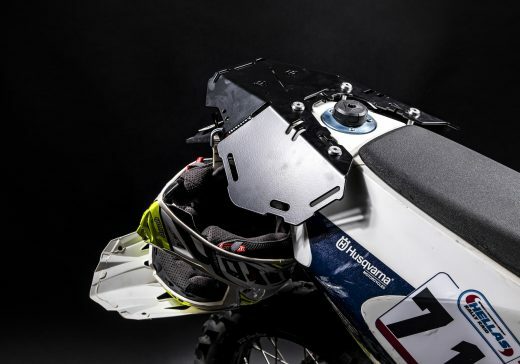 What is included in the Husqvarna 701 roll bag kit? Simply swap the hand grips with the base rack and you are done in 15 minutes or less. Placing the roll on/off takes just a minute. If your bike did not come with hand grips installed, follow the simple steps in the install guide below.